On March 22, 2019, Shushan Purim, Shalom Dov Ber Yona, aged 13½, underwent a heart transplant at Schneider Children’s. The operation was conducted by Prof. Dan Arvut, Director of Cardiothoracic Surgery at Beilinson and Schneider Hospitals, Dr. Georg Frenkel, Director of the Cardiothoracic Surgery Unit at Schneider, and Dr. Yaacov Katz, Director of the Surgical Suite and Anesthesia Department. 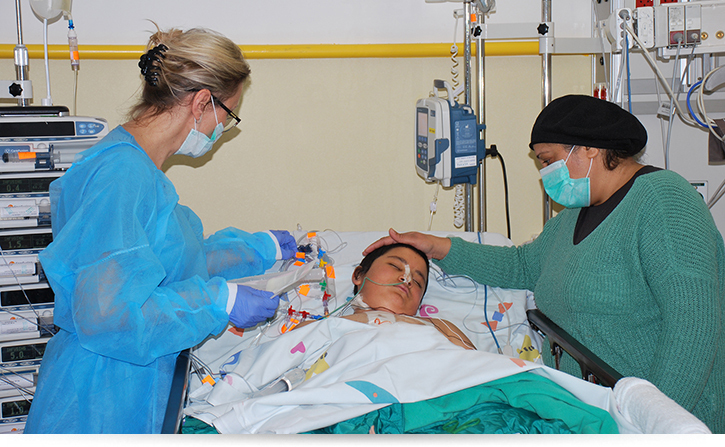 Following the surgery, he underwent follow-up care in the Cardiac Intensive Care Unit headed by Prof. Ovdi Dagan and Head Nurse Rim Abd El Hai. Dr. Nili Zucker, senior cardiologist in the Cardiology Institute headed by Dr. Einat Birk, oversaw his care. Shalom suffered from cardiomyopathy, a disease of the heart muscle, and underwent a pacemaker implant at Schneider Children’s several years ago. Since then, he has been under the joint care of Soroka Hospital in Beersheva and Schneider Children’s. When his condition deteriorated, only a heart transplant could save his life. Schneider Children’s conducts the majority of organ transplants in children in Israel. Since its inception, more than 600 transplants of heart, lung, liver and kidneys have been conducted at a rate of success on a par with other leading medical centers in the world.